Thinking in advance for tomorrow’s metallic theme for the #iwillwearwhatilike link up, I’ve put together two outfits showing you how to wear metallics… Because of my new(ish) hair colour I’m especially obsessed with rose gold at the moment! Metallics can be quite tricky to style if you’re looking at cheap shiny fabrics (very unflattering) but at the opposite end of the spectrum there are some gorgeous rose gold, pewter and brushed silver accessories in the shops at the moment. Fabrics with metallic thread running through them are also a gorgeous antidote to all that chrome-like 70s silver. Styled with some warm textures or bold patterns they can look extremely stylish – no shiny disco fabrics necessary! I’ve put together two outfits – one for casual daytime and one for evening or a date night – that incorporate some beautiful metallic leather, metals and/or fabrics. Mixing your metals definitely works – if you make all your metallics the same you may end up looking too matchy-matchy. It’s a good idea to keep warm metallics with warm metallics (for example rose gold and bronze) and cool with cool (silver with pewter). But to be honest you can mix them up – no need to stick to the rules all the time… Just have fun with it and experiment! 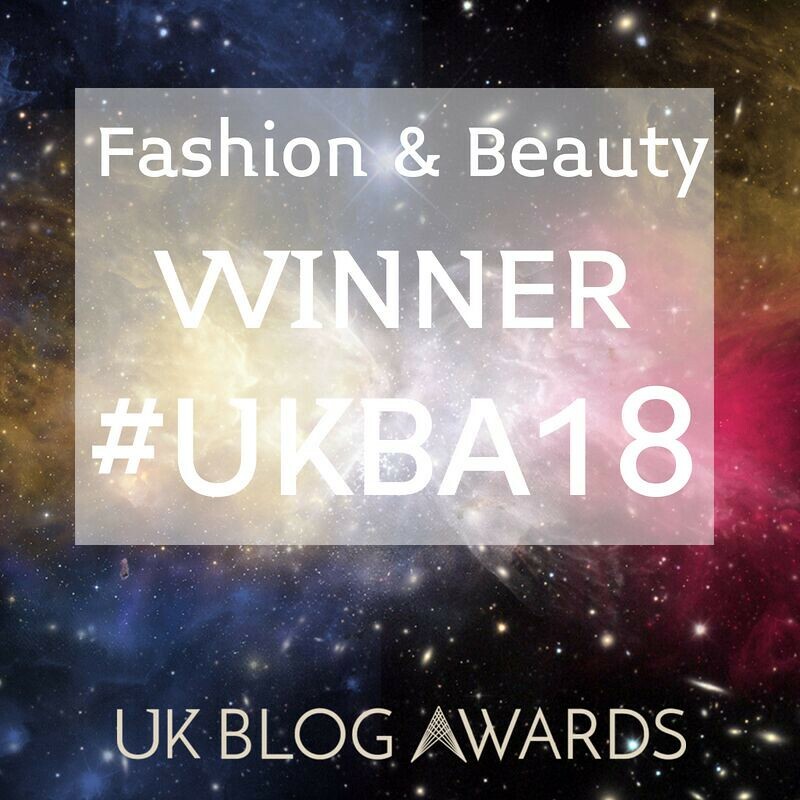 I hope you like the picks here, come back tomorrow to check out what others link up to the #iwillwearwhatilike link up (metallics and everything else), and add your own outfits if you have them on your blog or Instagram! Are you are metallics fan? 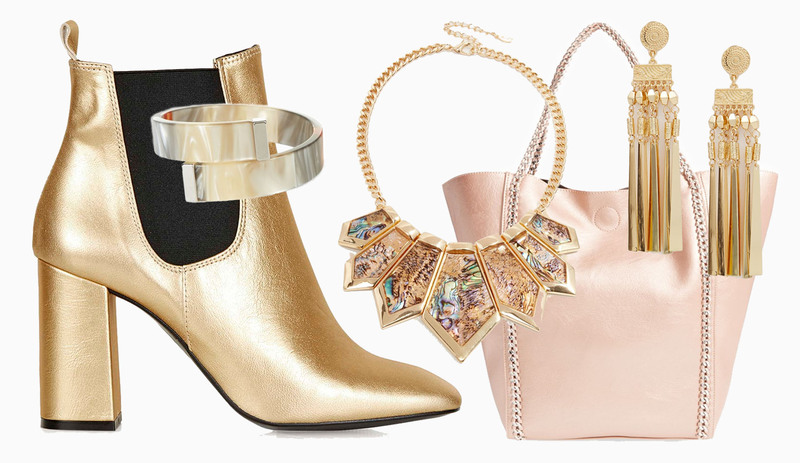 What are your metallics of choice – and what’s your most daring piece (or what do you currently have your eye on)? Tell me in the comments or tweet me @notlamb! 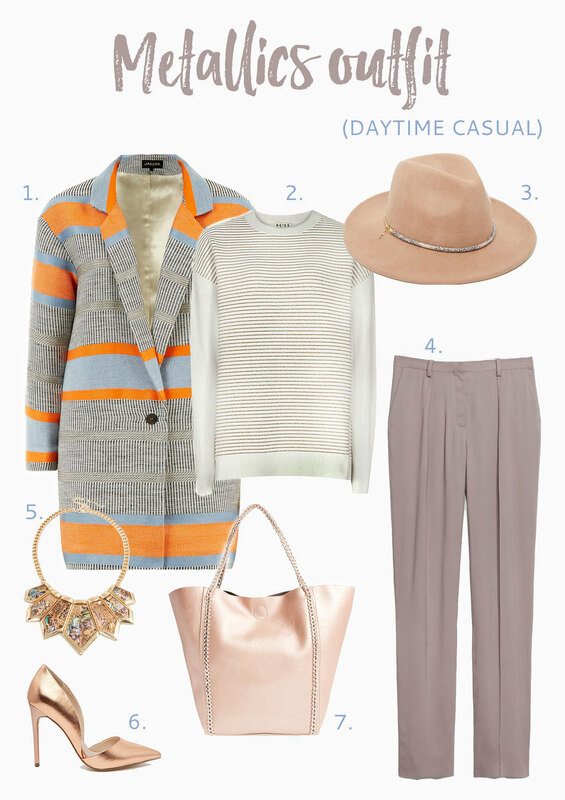 This outfit started with the bag – and everything else worked around that gorgeous, soft rose gold colour. The sweater has a subtle gold thread running through the stripes, and the statement necklace has all those beautiful mother of pearl colours. The Jaeger jacket is new season – the pretty orange and blue stripes are the perfect colours for spring. If you’re looking for a dressier outfit for a night out, this is for you – the oversized shirt dress will look very modern layered over cropped flared jeans with those fabulous gold Topshop boots. The skinny metallic thread scarf will add just a touch of glitz to the dress, but the real shine comes from the earrings, bracelet and pewter leather hobo bag. Great for a first date, third date or even a night out to celebrate your 10 year wedding anniversary…! P.S. You might want to read some more of my Ways to Wear posts! Adore both inspiration outfits. I am slowly learning the metallics is a great way to add interest to an outfit, I want to add more metallic shoes in my closet. You found some beautiful pieces. I adore that Jaeger jacket (yes, I went to the shop). Too bad I am skinned. Love your choices! As you said metallics can be overwhelming if not worn with softer pieces. But I love the flashy bags and shoes. Great combos. Thanks for sharing. LOVE BOTH the outfits!!! That necklace in outfit one is GORG!!!! And outfit 2 has FUN details!!! THIS post helped me to decide to KEEP the fab pewter stacked booties I bought a few weeks ago!!! 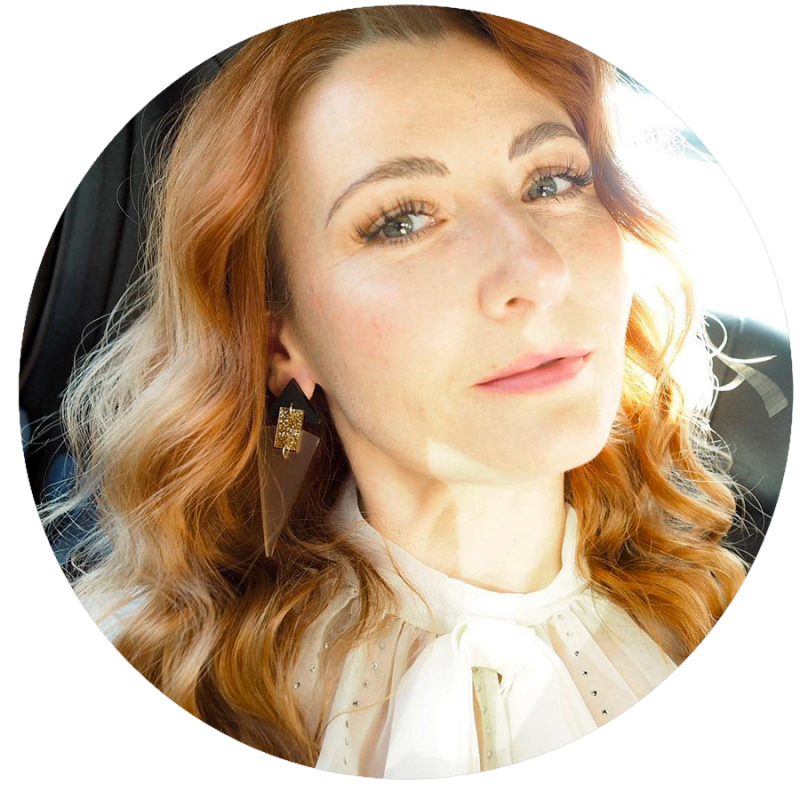 I love that necklace too – and I'm glad it's helped with some inspo for how to wear your boots…!! I love a bit of metallics here and there. My current metallics are mostly my shoes and accessories. I would put either one of your outfits you put together on in a heart beat. Every. Single. Item. Love them both. I'll try real hard to load some metallic photo's this week and join the party. Love these outfit ideas for metallics. 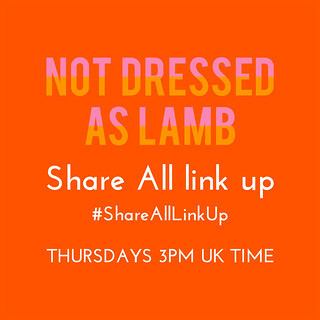 Just discovered your blog and noticed that you have a Monday linkup, I will make sure to stop by and link up tomorrow. Hope you can stop by my weekly Weekend Wear Linkup and share your style and story. Thanks Sheree – it's nice to e-meet you! Thanks for stopping by and commenting, I shall pop over to your link up! 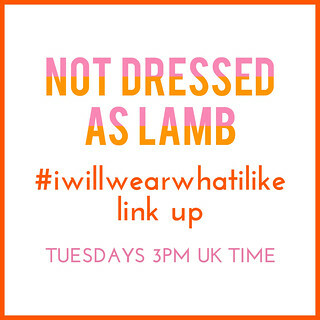 See you tomorrow for #iwillwearwhatilike…! lovely! I love gold but don't wear a lot of metallic in my oufits. I have to try some! You definitely should, Lau – I love gold too but lately have been drawn to rose gold everything…!! I don't think I own much metallic stuff, I really love the Jaeger bangle and the silver hobo bag is gorgeous! As usual you've found a way to make a particularly tricky fashion element look glam and ladylike! 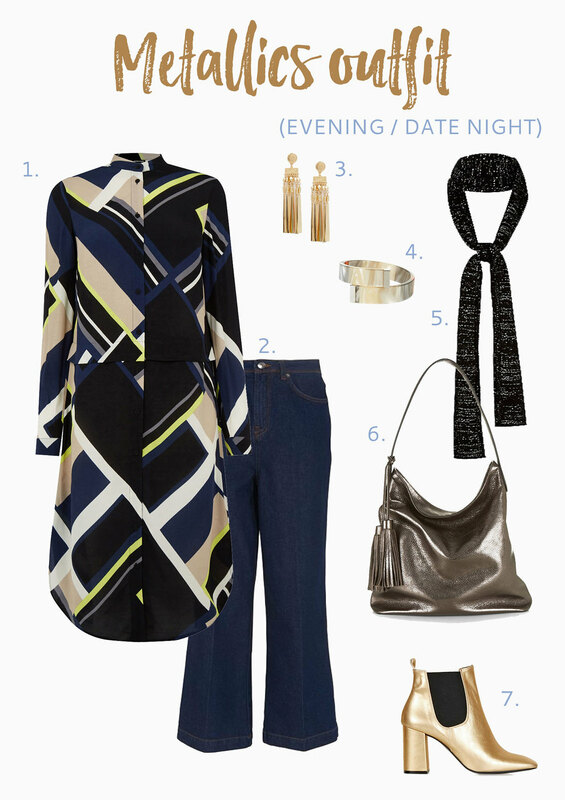 I love the date night outfit!